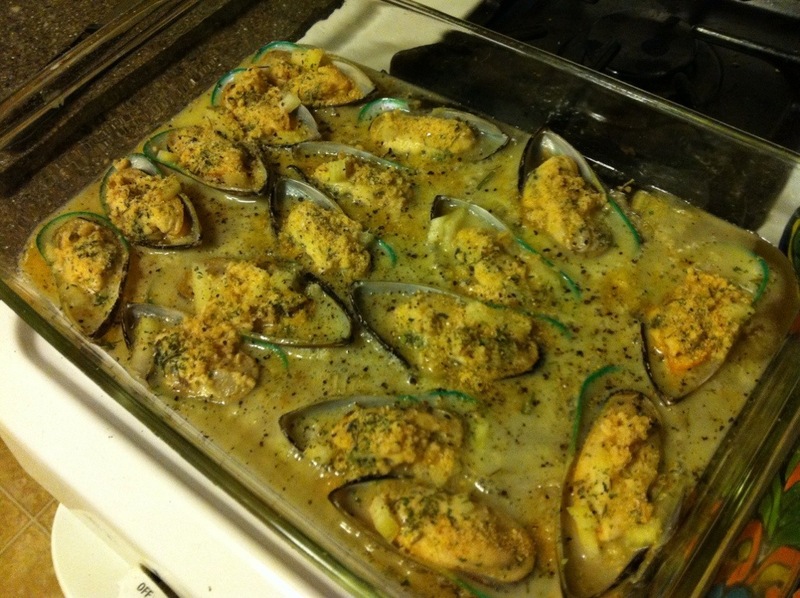 Spoon the sautéed onion onto each mussel and add a little breadcrumbs and Parmesan Cheese to each mussel. Crack Salt and Pepper over them. 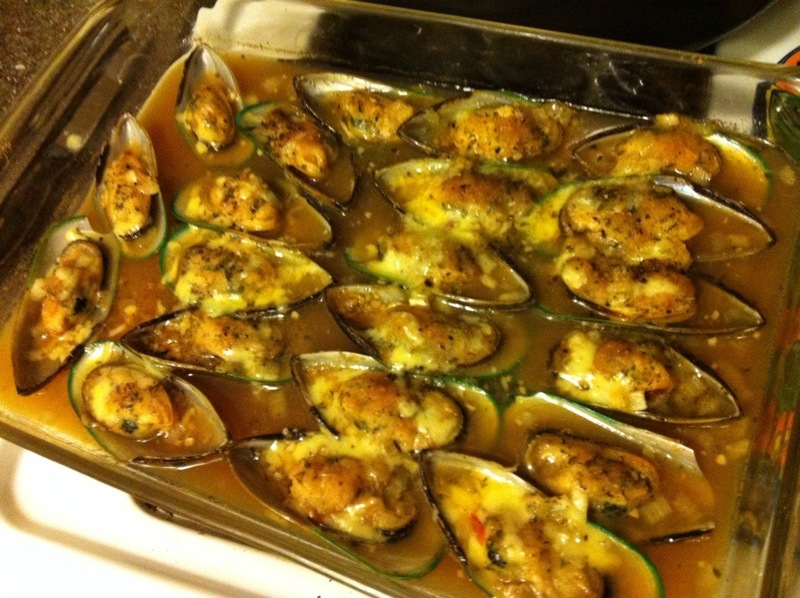 Bake in the oven for about 30 minutes, checking often and basting the mussels with the beer broth.